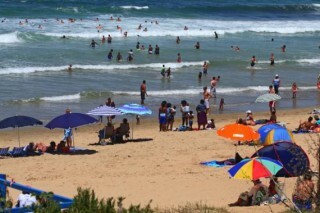 Dias Beach is a long 3-km stretch of beautiful sands, part of the many beaches located in and around the Mossel Bay area. The beach is safe for swimming and there are ablution facilities, a social area and even a caravan park nearby. Diaz Beach Water World is part of the Diaz Beach Hotel & Resort, offering a totally fun experience for young and old. This is a great place to take the kids, and if you’re in need of some cooling during the summer heat, then Diaz Beach Water World may be the best alternative to the beach. The lovely Little Brak Beach and Little Brak River mouth are both just 6 km from Mossel Bay. The golden sandy beach is immaculate and perfect for long romantic strolls. The river is great for water sports such as water skiing, canoeing, boating and fishing. During the winter months the coastline is a prime spot for whale watching.